Have you been shopping for an RV battery and trying to figure out which one is the best among them? In this article, we’ll help you narrow down the list by giving you these reviews on the best RV battery to get for 2018. We’ll be showing you the features of each of the RV batteries on this list so you’ll know their strengths and then it will be easier for you to compare that with what you want to get out of an RV house battery. By the time you finish reading these reviews on these batteries, you will feel more confident to make a decision on which one you will buy. The batteries’ specifications may look too technical and daunting at first but don’t worry. We’ll be including brief but concise definitions of each of those specifications and features of an RV battery so you will understand them better. Once you gain a better understanding of them, looking for the right kind of battery for your RV will be a much easier task to do. So, now let’s begin with the first RV battery. Among the models produced by Battle Born Batteries, this is one of the best. When it comes to lithium-ion technology, they are at the forefront. As one of the superb batteries from Battle Born Batteries, you can expect a continuous output of ten amps, a 200 surge output. As a cycle battery of 3000-5000, it can accept charging volts of 14.4v to 14.6v. This battery has a sleek design with a weight of only 29 lbs. It has dimensions of 12.75×6.875×9 inches, making it very compact. The design and assembly of this battery are done in the USA. This model is also renewable, with green energy that is sustainable. It is non-toxic, very safe to use, and can last for more cycles compared to other batteries. With over 3000 cycles, this battery is a must-have. The LiFePO4 is maintenance-free and is a modular battery. It has a Battery Management System or BMS protecting the battery cells from high or low voltages. ● You can use it for volt power systems of 12, 24, or 36 volts. With a rating of 35AH, this Interstate RV battery can supply power for your RTV for twenty hours while at the same time, giving your equipment a power supply of 1.75 amperes for each hour. This model is a sealed battery, so you don’t have to think if there will be any spillage or if hydrogen will escape while you are recharging it. You have to remember that hydrogen is a gas that can explode if it accumulates in an area that is enclosed. With this battery, you can be sure that it is safe to use for road, sea, and air transport. It is among the safest and most reliable RV batteries in the market. The battery is very compact, having the dimensions of 7.7×5.2×6.3 inches. It is also lightweight at only 23.8 lbs. You can expect this battery to provide you with a continuous supply of power. It is truly a heavy duty battery. You don’t have to worry about maintaining this battery as it is maintenance-free. With this battery, you get a 750 rating for its cold cranking amps. That means it can provide you with 750 amps for thirty seconds before the voltage will drop below 0°F. It also has a rating of 870A for its CA. This means that when you operate at 32°F, the battery is able to provide you with an 870A before the voltage will go down below 7.2A. This battery is among the best RV starting batteries. At 43.5 lbs., this one is a 12v battery. You can expect it to deliver even during the toughest conditions. It has a Dual SAE. Its reserve capacity can serve you for twelve minutes. In addition to that, you can use this battery at any position or angle. It is also fifteen times more durable and resistant to vibration compared to similar batteries. It is simple to use and is designed to be used both as a starting and as a deep cycle battery. Lastly, this model has SpiralCell which can provide you with a strong and clean power source. This battery model has a rating of 850AH. What this means is that it can provide you with 4.25A for every hour for twenty hours. During that time, you can expect that the battery will not go flat and you won’t be needing to recharge it. It has a 160 Reserve Capacity, giving you 25 amps for 160 minutes at 80°F before the voltage will drop to 10.5v. The HCA rating of this battery is at 1380A. With this, you can start the engine of your RV with a supply of 1380A within 30 seconds at 80°F temperature. What the Marine Cranking Amps of the battery means is that the battery is able to provide 700A for thirty seconds at 35°F before the voltage will drop below. 10.5v. This model is among one of the heavy duty RV batteries in the market. It can serve you for a good eight to even ten years. It is also maintenance-free. This one is a lead-acid battery that is fully sealed. It can power the onboard electronics as well as the trolling motor. It has a 35AH rating which means it can provide a current of 1.75A for 20 hours before the voltage will drop below 10.5v. The battery is made up of AGM support structure. With this, the AGM gives support to the cell plates as well as soak up the electrolyte, making this battery vibration and shock resistant. This model is rechargeable with 12v. It can be mounted at any angle or position as it is spill-proof as well as maintenance-free. The cells of this battery have been designed specifically to give continuous power so you can depend on this battery for long periods. 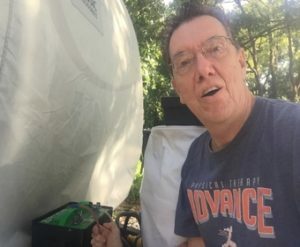 This battery model has a 35AH rating so it can provide power to your RV for twenty house while it can provide a 1.74 amps average current continuously. This is a sealed battery, so it is safe to use in places where there is poor ventilation. As a lead-acid battery, you can recharge this battery many times, and it can serve you for many years. It operates at 12v which is great because this is the voltage rating of many of the electronic equipment that you use for your RV. You can use this battery as an emergency, solar, portable medical device, electric fences or gates, flashlight, garage door back up, and security power supply. This model is compact as well as lightweight. It is easy to use, and it is designed to supply continuous power for your use. This unit is a 6 volt RV battery unit that has a rating of 225AH. It can provide a continuous current of 11.25A for twenty hours before you need to charge it. As this one uses cells that are flooded lead-acid, you can expect to get better performance when it comes to how many cycles of discharge and recharge that the battery can handle. As an deep cycle RV battery, it is able to discharge up to twenty percent of the full capacity before you need to recharge it without causing damage to the cells. The battery can supply a voltage of 6v. You can definitely use this battery for electronic equipment that is sensitive. Not only will this battery provide you with a power supply continuously, but it will also last for many years. You can use it for off-grid power or for your golf cart as well. You will certainly get good value for your money with this battery. ● This battery may be a bit more expensive compared to similar products. This is an AGM RV battery with glass supporting the cell plates which keep them protected with the electrolyte. This ensures excellent performance from this battery. This model is also spill-proof. It has a rating of 105AH so that means it can provide you with 5.25A for twenty hours continuously. The battery is able to discharge 25 amps for three hours or 195 minutes to be exact. The battery also has a 600A rating for its CCA which means it can give out 600A for thirty seconds at 0°F. Its CA rating is at 750A so it can give your RV 750A for thirty seconds at 35°F. You don’t have to worry about maintenance with this battery. You don’t need to add water to it. It belongs to the 31 group AGM marine batteries that are designed to be leak-proof. It is safe to use and is also resistant to vibration and shock. It’s a great choice as well because it is environmentally-friendly. When you charge this battery, you can expect it to have a low discharge rate as well as no gassing. This model has a rating of 50AH and is able to give 2.5 amps for twenty hours continuously. With this power, you can use your electronics for the entire night without needing to recharge the battery. With this AGM unit, you don’t have to worry about maintenance. It is sealed, and it should not be opened. But it is very safe to use even in enclosed areas. As this battery is an AGM battery, the electrolyte is soaked up with the glass, covering the plates fully. With this design, the cell efficiency is increased, boosting its battery performance. This is also vibration and shock resistant so it can withstand tough conditions. This model has a rating of 235AH which means it can provide the electronic equipment of your RV with 11.75A for twenty hours continuously. It is able to store 1.57kWh which make it a great RV battery if you ever intend creating a battery bank for your other batteries. As a flooded lead-acid unit, you can expect that this battery has a long lifespan. It does require some maintenance as you have to add distilled water to it regularly. This battery may be small, but it can serve you for many years. You can use it for your golf cart as well as to other types of applications. What do you think about this list we prepared for you? Do you already have a battery in mind that you want to buy? Before you do, we will share with you more information about how to select a good battery. It’s not enough that you know the battery’s specifications, you have to be able to understand what they mean as well and then match that with the power requirements of your RV. Now that we have shared with you some of the best RV batteries in the market, let us help you further by discussing in the next section how to choose a good RV battery, the advantages of using a deep cycle battery, and a guide about the features that will make it easier for you to select and buy a reliable RV battery. Let’s begin! When you are looking for your next RV battery, you first have to consider the needs of your RV of course. It will need a power that can be supplied continuously for the electronics onboard. Apart from that, it will also need cranking power for it to move. Nowadays, more and more people are using renewable energy, so try to find out if the battery you are looking for is rechargeable with the use of solar power. Not all of the batteries can be recharged using solar panels without some wastage. A good deep cycle battery for RV is one that can be charged with solar panels. So try to look for one with this feature. As for the needs of your RV, you have to make sure that the battery can provide the right amount of cranking power for thirty seconds. Look for the features of the battery and then see if they match with the power requirements of your RV. Among the things to check are the Amp hour, reserve capacity, cranking amp, and cold cranking amp ratings. We will discuss that further in the following sections.  First, let’s take a look at the advantages of a deep cycle battery for your RV. A great deep cycle RV battery to have should be able to provide your RV with cranking power as well as sufficient power for the lights and appliances in your RV. The battery’s cranking powers can differ in different temperatures. You can expect it to be low at 0°F while it is high at 80°F. Batteries can perform much better when they are at higher temperatures compared to when they are in areas with lower temperatures. With a higher cranking rating, you know that the battery will be able to perform better when it comes to cranking up the engine of your RV. You don’t have to worry about the battery going flat when you try to start the engine. As for the power requirement to be able to run the electronic equipment, this will depend on the battery’s reserve capacity as well as its amp hour ratings. The reserve capacity or RC will tell you the length of time that the battery can provide power to your electronic equipment. You have to take note that they have to be able to supply a 25 amp current consistently. To find a good RV battery, look for one with a high RC rating. As for the amp hour ratings, it will tell you the amount of power that your battery can supply in a period of twenty hours. What do you think about deep cycle batteries? While there are dual-purpose batteries, we highly suggest that you use a dedicated battery for cranking your engine and then another one, a deep cycle battery to power your electronic equipment on board. The respective batteries are designed for their specific purpose, and you can expect great performance from them as compared to a dual-purpose battery which is good as well, but it won’t measure up to what a starting or a deep cycle battery can provide for your engine and power needs. There are several features that you have to know about a battery first before buying it. This is important because you will then know if the battery you will be getting will fit that of the power requirements of your RV. Let’s start with the first one! This is the measure of how much power the battery can provide at a temperature of 0°F. This is important information you need to know about the battery especially if you will be using your RV during cold months. The performance of the battery decreases during times when the temperature is low. So better get one that has a high cold cranking amp rating so that you can be sure that you’ll have enough power to crank up your engine during winter time. The cranking amps are the measure of power that the battery can provide when it operates at 35°F. This rating is just as important as the cold cranking amp rating. With the CA rating, you will know how the battery performs when the temperature is above the water’s freezing point. With higher cranking amp ratings, then the better will the battery perform when it comes to starting the engine of your RV. The amp hour rating is the battery’s power supply capability for twenty hours. The power is then measured in the current to which it supplies. So for a battery with a 240AH rating, it can give 12 amps of power for twenty hours continuously. The reserve capacity is the battery’s ability to provide power for a specific period. The rating is measured in minutes. Commonly, the power output being used is at 25 amps. With a battery that has a reserve capacity rating of 125, it can supply 25 amps for 125 minutes. After that, the voltage will begin to drop below 10.5v. Look for an AGM battery because you can be sure that it will be able to endure shocks and vibration in comparison with a flooded lead-acid one. With an AGM battery, you can be sure that it can provide power to your RV continuously and consistently. In this article, we have shared with you a number of great batteries to choose from for your RV. Also, we have provided you with a guide so that you will know what to look for in the features of a battery at BATTERY MAN GUIDE! 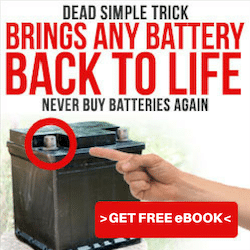 If you have further questions about the best RV battery to get, simply drop us an email and we’ll get back to you with other useful information. You may also have questions about other batteries that we have not included in the list such as the Walmart RV battery. If you are interested in that battery, go here to read about it.